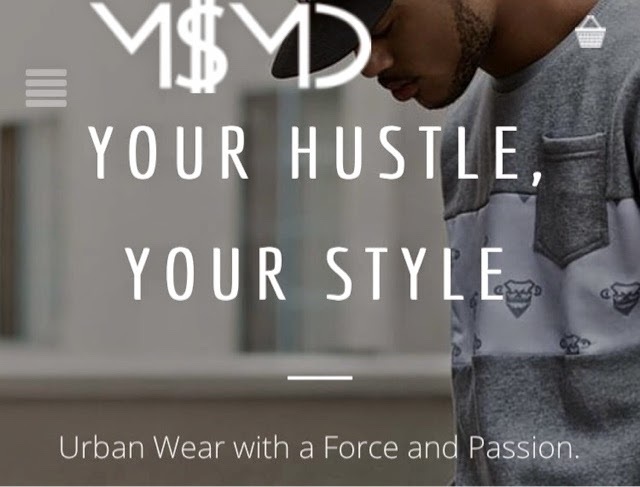 clothing brand I came across that caught my eye. The clean style and how professional this site is sparked my interest to share with you guys (my readers). I support dedicated, hard working individuals such as the CEO of M$MD and encourage you to support as well. Most Items are ON SALE so get them NOW! "M$MD (Monkey $ee Monkey Do) receives its name based on the Ideology of Faith, Determination, and Perseverance. M$MD was formed in 2012 as an extension of Johnny Erasme’s, aka JBLAZE, line of work. Through hard work, determination, and consistency, Johnny Erasme soon realized that putting a picture of what success is in front of him, and never letting go of that image, he can pursue his dream, hence MONKEY $EE MONKEY DO, with the crown in the logo demonstrating YOU are in control, the dollar sign in the $EE signifying success, and the bowtie representing honor and integrity. In Johnny’s line of work, he determined that clothing is another avenue for him to spread his message of having faith in your talent and pursuing your passion. M$MD is about urban wear, demonstrating a force in a cultural environment. M$MD cannot ignore the incredible support of family and friends. However, you, the customers are the one who make M$MD what it is today and it will continue to grow with your support and by spreading the word. M$MD is looking forward to the next chapter as it continues to evolve in a forever changing fashion."